BRAND NEW ROOF MARCH 2019! 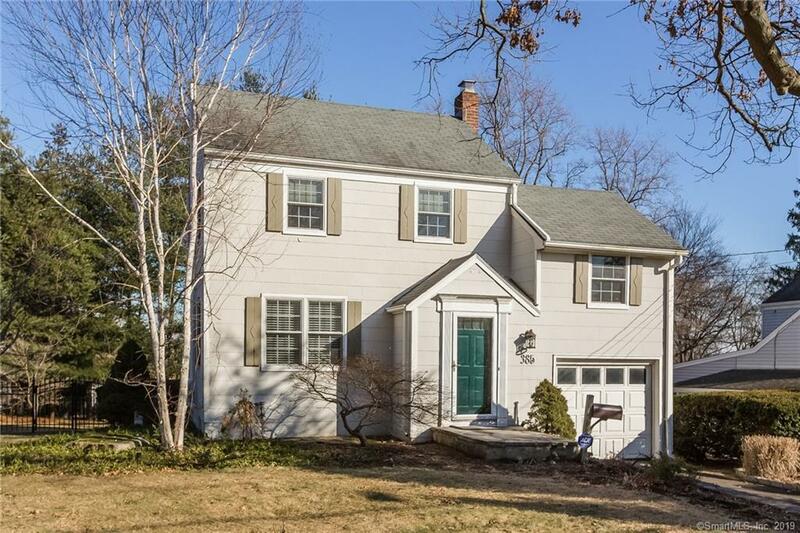 Charm is the key when describing this upper Springdale Colonial. From the moment you step into the cheerful foyer, you'll be greeted with a French door leading to a living room with gorgeous crown molding and gleaming hardwood floors. Enter the formal dining room with another French door leading out to a deck perfect for entertaining and summertime barbecues. The designer renovated kitchen has granite counters and white cabinets. For pure relaxation, a family room is perfect for watching TV, listening to music or looking at the beautiful backyard. Another French door also leads out to the deck and a level, landscaped, fenced-in yard for all of your outdoor entertaining needs. Walk up a separate small flight of steps and you're in the 3rd bedroom, which can easily double as an office or family room. The second floor boasts additional two bedrooms and a renovated full bath. Central air conditioning in upstairs only. An unfinished basement, perfect for storage and an attached garage make this beauty one that should not be missed. Ready, set, go!